Senate Majority Leader Harry Reid (D-NV) dealt supporters of the seriously flawed Trans-Pacific Partnership (TPP) free trade agreement a major blow when he publically denounced plans to hurriedly push the trade deal through Congress. The “fast track” process has been historically used for railroading through Congress the most egregious of trade agreements like the North American Free Trade Agreement (NAFTA). TPP fits the same mold. Covering 12 Pacific Rim countries, the TPP is the largest free trade agreement ever negotiated and includes notorious human rights violators like Vietnam and Brunei. 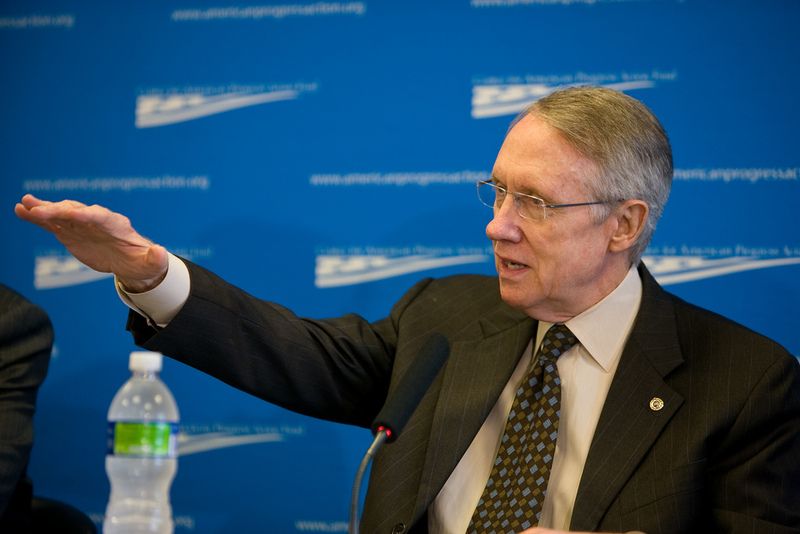 Reid’s actions are significant as they can delay or end consideration of the bill. As Majority Leader, he controls the schedule for what bills the Senate considers. We must not let that happen. Click here to tell Congress we want fair trade, not free trade in the TPP.